The production corridor runs underneath the length of our Northern bowl seating, from the Stage Door at the Eastern end, to the FOH access door at the Western end, and includes a suite of three production offices, artists' green room, and fourteen dressing rooms of various sizes. Rooms A, B, C, and D can each accommodate a sports team, and rooms 1-10 are more intimate, suitable for individual use or smaller groups. Scale drawings are available for download on Our Spaces page. 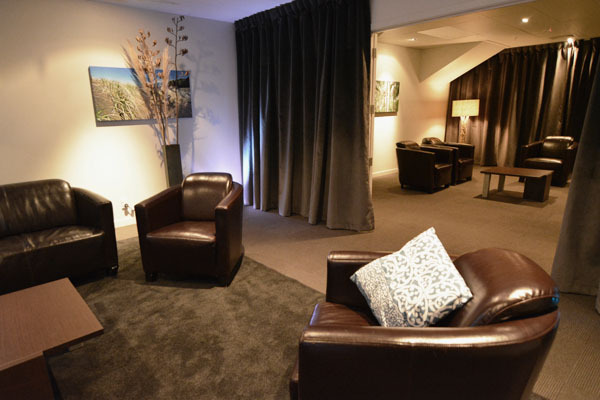 The dressing rooms are furnished with a simple selection of quality lounge furniture (larger rooms), and the smaller rooms have an armchair and dressing table furniture. All rooms 1-10 have ensuite shower and WC facilities. Rooms B and D also have team shower and WC facilities. A number of fridges are available for dressing room use. Each dressing room has a dual data outlet, which may be used for phone/internet. 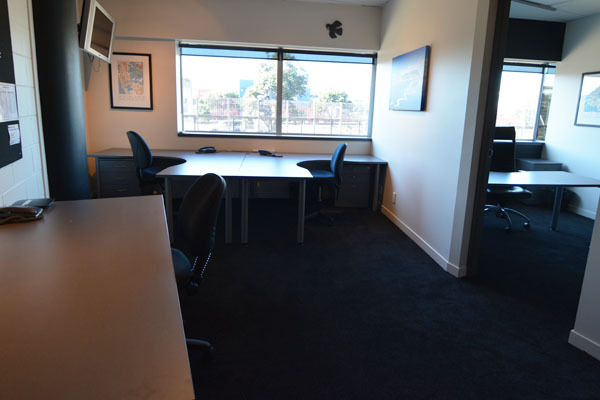 The three interconnecting production offices each have natural daylight, and are configured with desks and office chairs, and task lighting is available on request. Each office comfortably accommodates three desks, with an additional L-shaped benchtop area in room 3, which serves as a laptop charging bar or hotdesk for up to five people. The production offices have four dual ports each, and WIFI is available as an option. We supply phone handsets for direct dial phone calls, set up for your specific requirements. 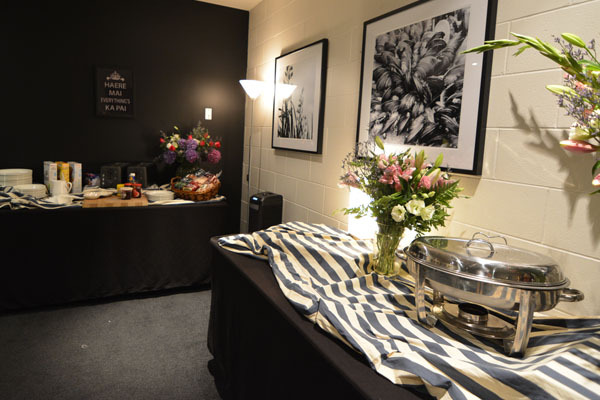 The green room (artist catering) is usually configured for dining, with seating accommodation for around 40 per sitting, and is equipped with tables, chairs, fridges, and a dishwasher in a hidden service area. There's a small lounge area around the corner in this room, ideally placed for having a relaxing coffee. If you are a hirer, please discuss your needs in advance with the Venue Production Manager, Steve Wheadon.